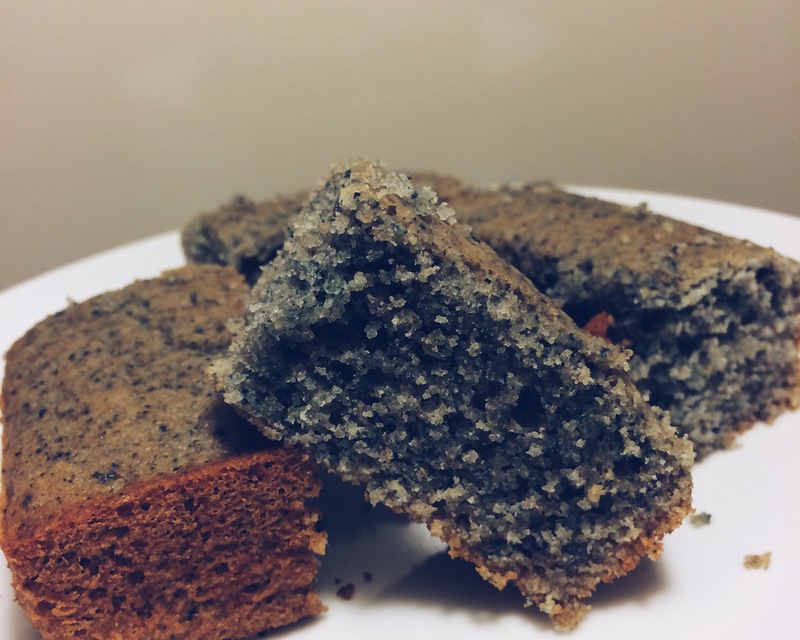 Recently I have experienced the unexpected goodness of blue cornmeal. I mean, where has this been all of my life? One of the best kept secrets of the grocery store aisles, and to me the superior sibling to the more common yellow and white cornmeal. It is more intense, slightly nuttier and naturally sweeter in flavor, it has more of a crunch texturally and it’s blue! Come on! Not to mention it a slight nutritional advantage over its more traditional counterparts, has a lower GI and is loaded with fiber with about 20% more protein. I personally like to use Arrowhead Mills Organic Gluten Free Blue Cornmeal. You can usually find it at health food stores. This New Mexican staple is now a regular resident on my pantry shelves. Being raised in the deep south, you eat cornbread, it’s just what you do. Yes, all of the stereotypes are true concerning southern cooking and eating. But when baking at home in Dallas I try to make tiny adjustments and replacements to make things “less bad” for me. So when I was craving cornbread and chili one rainy spring day, I didn’t want to opt for the regular ol’ stuff. 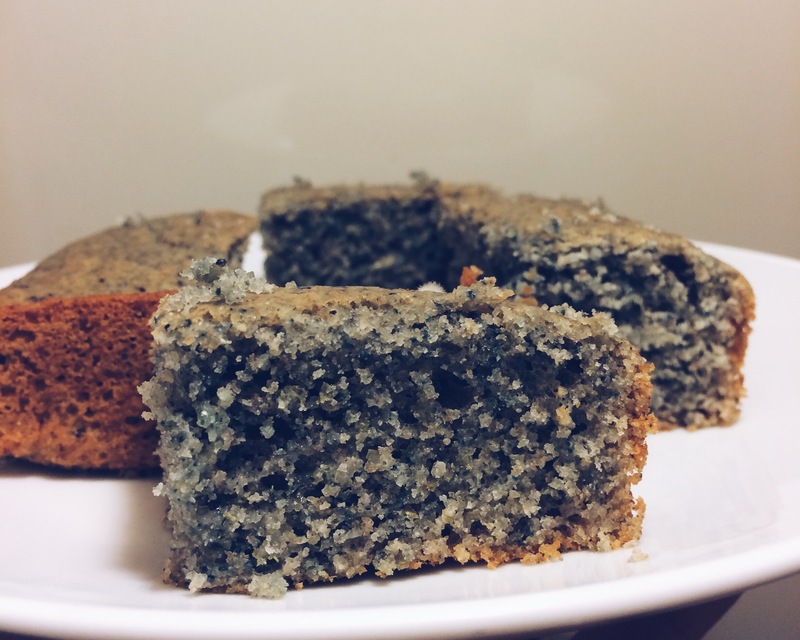 So I found a general recipe for cornbread using blue cornmeal and used that as inspiration for mine. It makes a super crumbly, slightly sweet, slightly salty fluffy cornbread. *measure your sugar before you grind it in a spice grinder or you’ll end up with a lot more sugar than you want. Can also use refined white sugar, but it will yield a sweeter cornbread. **make sure your baking powder is fresh or it won’t rise properly. Preheat your oven to 400F. In a 9 x 9 baking pan place your butter. Put the pan into the pre-heating oven to melt and warm the butter. Keep your eye on it, it should only take about 5 minutes. Remove from oven once fully melted. In a large mixing bowl combine the cornmeal, WW flour, AP flour, salt, sugar, and baking powder (if using ground flax, add). Sift the dry mixture 2-3 times to help remove clumps, fully combine and make lighter. In a small bowl with a whisk beat the eggs then add the milk, continue to beat together. Add the milk mixture to the dry ingredients, stir well. Pour the melted butter out of the prepared pan and into the batter. Stir until fully incorporated. Pour the batter into the 9 x 9 baking pan that you melted the butter in. Bake on the middle rack of your oven for 15-17 minutes, the top will be lightly browned, which can be hard to see since it’s blue. It’ll be hard to sit there and stare at it while it cools but once it has cooled off a little bit you can fix your plate and enjoy! 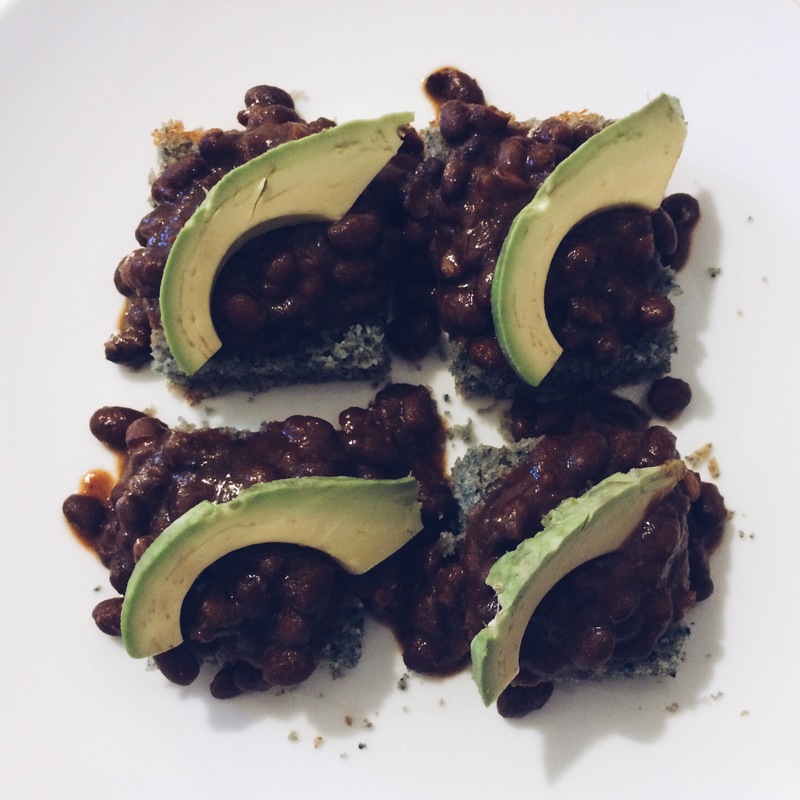 I personally like to top mine with Amy’s Organic black bean chili and fresh sliced avocado. You can also drizzle, or drown, with honey or agave as a dessert or pure maple syrup for breakfast. Just warm it up in the microwave a tiny bit and its almost as good as new. But then again you can’t beat the classics! You can always opt for the always faithful cornbread with butter for a snack or with a meal. (Just remember there’s already butter in the cornbread). Also, eat within 3 days.